From clothes storage to shelving, to standalone items such as cabinets and dressing tables, Team Build can design and craft beautiful bespoke furniture items to transform your bedroom. If you have an existing piece of furniture that you want to replicate in colour or design, we can match with new items to ensure a consistent and quality finish, with stains and paints professionally applied in our purpose-built spray booth. It can be hard to find the perfect furniture to suit your exact measurements, which is why bespoke furniture is often the only way to ensure the perfect fit for your bedroom space. Team Build will design, craft and install your bedroom furniture so that it fits perfectly in your home. We don’t just provide fitted furniture but also freestanding pieces to ensure you get the ideal look for your home. 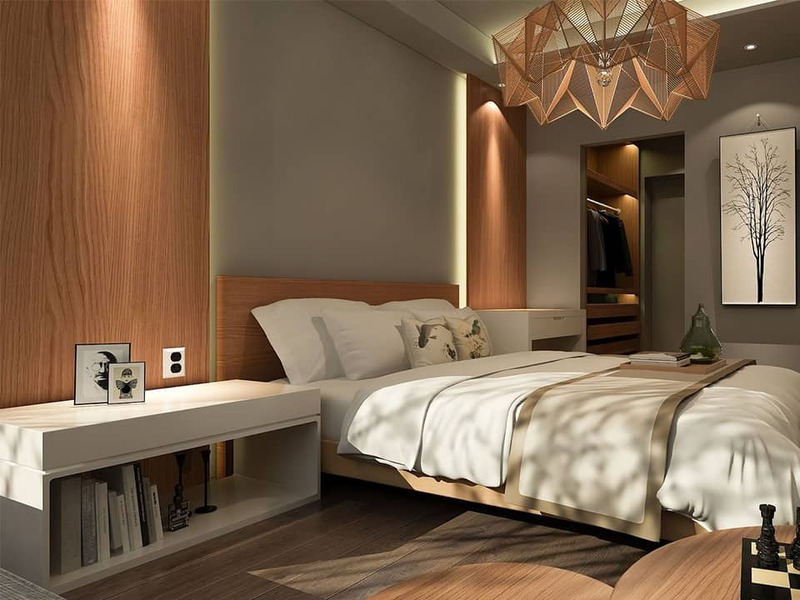 Do you have a vision for your bedroom, but not sure how to bring it to life? Talk to our experts who can provide the designs and make your vision a reality. Below are just a few of the bedroom furniture items in which we specialise in, but please do get in touch via the contact form below if you would like to discuss any other ideas you may have. Make your wardrobes work around your needs with stylish and practical storage solutions hidden inside, whether you’re looking for an internal shoe cabinet or perhaps layers of hanging space, we can tailor your internal wardrobe to suit your storage needs. Finished in a range of styles and colours, our wardrobes can complement your existing furniture or bring a new dimension to the room. Don’t let spare rooms and storage areas go to waste, instead increase the space of your bedroom and fill your walk-in wardrobe with storage solutions that protect your garments and make everything easier to find. From shoe cabinets to clothes rails, chests of drawers to designer shelving for your most prized possessions, we can turn your walk-in wardrobe into a practical, personal boutique. As the bed is the focal point of the room, make it stand out with a personalised, uniquely styled headboard. From sumptuously padded designs to ornate wooden decorations, we will ensure it meets your style and size needs. For utmost functionality, we can even include charging portals into the design, that can reduce the tangle of wires on your bedside table. What’s more, our personalisation techniques, mean we can carve quotes onto your headboard so that it is personal to you. Dressing tables can be the stylish finishing touch of the bedroom. However, so often it becomes cluttered due to impractical storage and design. We can craft a stunning dressing table and stool, complete with enough table space and drawers for all of your possessions. We can even incorporate lighting and mirrors so that you can get ready in style.